Moving or shipping valuable pieces of furniture or artwork requires special packaging to prevent the risk for damage to the item. We build custom boxes or crating for any size needed. 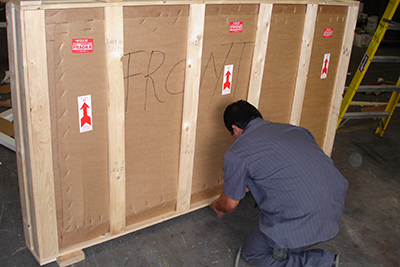 Customized packaging helps to ensure that your furniture or artwork safely arrives at its destination. We take the worry out of shipping or storing your cherished valuables. Valuable artwork demands special attention when it comes to handling and packing requirements. We are meticulous in wrapping and placing the item inside a secure and customized carton box or crate. This helps to keep precious artwork undamaged from the process of moving or shipping.